The Qur’an has not restricted itself in merely mentioning the permissible and impermissible foods but goes to the extent of giving useful tips regarding a balanced diet, a diet which contains most if not all the useful ingredients required for the growth, strengthening and repairing of the human body. These ingredients include animal protein, fat, calcium, iron, salts, etc. 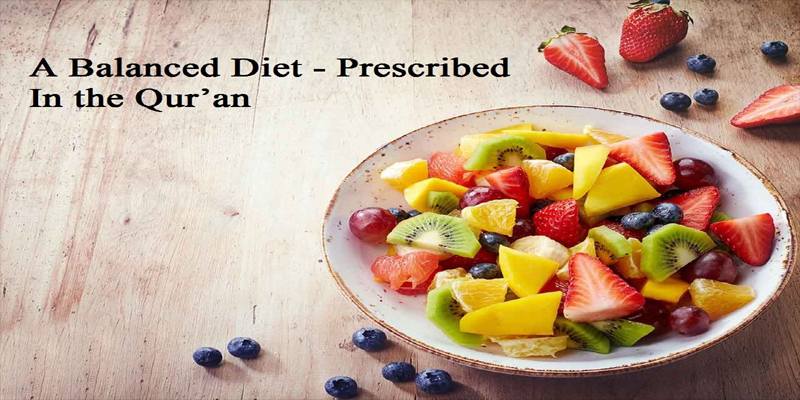 The most balanced diets consist of meat, fish, fresh milk, cheese and fruit. Both direct and indirect references have been made regarding the aforementioned.